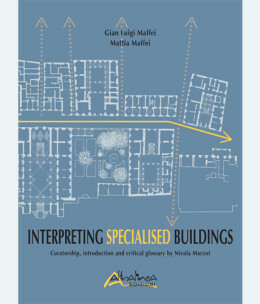 This manual deals with the vast category of specialised buildings that, stemming from basic structures, have gradually reached a whole new level of “intentionality” and “critical consciousness”. 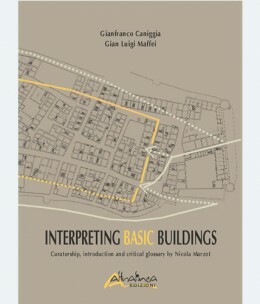 As happened with basic buildings, the operational architectural knowledge method we hereby suggest leads to the creation of a multi-layered analysis framework. Indeed, the observation and interpretation of building elements determines the shape, structure and purpose of public buildings. 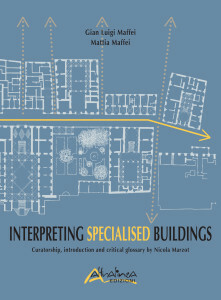 The aim was to create a manual enabling the understanding of specialised buildings following a “processual-typology” methodology. Better understanding of the evolution of a cultural area’s anthropic elements is an architect’s basic tool for an ethical, landscape-friendly approach to design. Architect and professor of Architectural Composition at the faculty of Architecture in Florence, deals with urban and building process classification, on which he focuses his teaching, research and planning experimentation. Focuses on architecture since 2000, mostly acting as collaborator and researcher with his father Gian Luigi. He is responsible of the illustrative apparatus of this book. Architect and professor of Architectural Composition at the faculty of Architecture in Ferrara and the faculty of Architecture and the Built Environment at Delft University of Technology, deals with urban and building regeneration processes, on which he focuses his teaching, research and design experimentation.